In Commonwealth v. Gomes, a recent decision by the Supreme Judicial Court, the Court announced significant additions to the model jury instruction on eyewitness identification. The facts of the case are as follows: In the early morning hours of September 10, 2011, the defendant walked into a gas station convenience store and bumped into a customer – Lindsay Holtzman. The defendant asked the clerk, Jordan Wilson, for matches and the clerk asked the defendant to apologize to Holtzman. The defendant declined to do so and challenged Wilson to a fight, which Wilson laughed off. The defendant then left the store. When the defendant exited, the victim and his friend, Gerald Mortensen, were sitting in the victim’s car in a well-lit section of the parking lot. The victim was in the driver’s seat and made eye contact with the defendant as he left the store. After the eye contact was made, the defendant asked the victim what he was looking at and the victim said he wasn’t looking at anything. The defendant then pulled a box cutter from his pocket, reached into the car, and slashed the victim’s face. Mortensen ran into the store and told the clerk to get help. Mortensen and Holtzman then left the store and watched the defendant walk backwards toward a corner of the parking lot. Five days after the incident, Wilson went to the police station and a detective showed him close to a thousand photographs, including a photograph of the defendant. Wilson ultimately identified the defendant as the person who had been at the convenience store the evening of September 10th and indicated that he was “110%” positive of the identification. The detective then created a photographic array with a total of eight pictures, including the defendant’s photograph, and showed the array to both Mortensen and the victim. Mortensen did not identify anyone in the array. The victim stated that he did not think that the assailant was in the photographs, but stated that he had to choose someone, it was the man with a similar chin; that person was the defendant. Holtzman did not view an array. Several days later, on September 18th, Holtzman, Mortensen, and the victim were together and stopped at a different gas station in the area. Holtzman and the victim went into the gas station’s convenience store, saw the defendant in the store, and recognized him as the assailant. They then left the store, confirmed with each other that they had just seen the assailant, and told Mortensen that the defendant was in the store. When the defendant left the store, Mortensen also agreed that it was the assailant. The victim called the police on his cellular telephone and, while speaking to the police, followed the defendant’s car to an apartment complex. The police arrived at the location shortly thereafter and asked the victim and Mortensen to participate in a show-up identification during which they both identified the defendant as the assailant. Holtzman was interviewed after the arrest and confirmed that the person in the convenience store on September 18th was the same person that she had seen in the convenience store the night of the incident. The defendant was ultimately charged with mayhem and breaking and entering into a motor vehicle with the intent to commit a felony. At trial, he argued that he had been mistakenly identified and presented alibi testimony. Defense counsel asked the court to give a jury instruction that would have informed the jury about various scientific principles regarding eyewitness identification. The court declined to do so and gave the traditional jury instruction laid out in Commonwealth v. Rodriguez, a SJC decision from 1979. On appeal, the defendant argued that the judge erred in refusing to provide his requested instruction on eyewitness identification. The SJC concluded that the judge did not abuse his discretion by declining to give the requested instruction because the defendant had failed to offer any expert testimony, scholarly articles, or treatises that established that the scientific principles laid out in the requested instruction were “so generally accepted” that it would be appropriate to include them in a standard jury instruction. 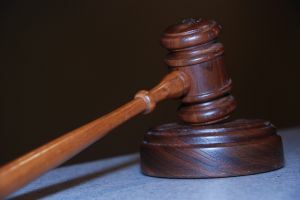 Despite its rejection of the defendant’s argument, however, the Court went on to state that it had recently completed a study on eyewitness evidence. The Court added that based on the study, and the comments in response to it, it believes that there are scientific principles regarding eyewitness identification that are “so generally accepted” that it would be appropriate to instruct juries regarding these principles in the future. The Court included a provisional jury instruction regarding eyewitness identification evidence and invited comments regarding its “content and clarity” before the Court makes it an official model instruction. The Court stated that the instruction should be given in appropriate cases from now on, until a model instruction is issued. The Court added that the instruction is not intended to preclude expert testimony on the subject of eyewitness identification. If you or a loved one has been charged with a criminal offense that involves mistaken identification, you will need an experienced and skilled attorney who understands the current state of the law and knows how to use it to best defend your case. Attorney Daniel Cappetta is such an attorney. Call him for a free consultation today and put his expertise to use for you.